Successive governments from the 1970s have recognised that they need to deliver growth via an efficient and proactive planning system, and the current administration is no different. Indeed, significant changes are imminent on a number of fronts. The Bill is currently in its last stage when amendments to it are considered before it gets it Royal Assent, so we anticipate it will become law before the summer recess. Clearly, there are implications in terms of gaining planning permission where there are councils that have out-of-date Local Plans. When is a Plan out-of-date? In my view it's if the Local Plan was adopted before the National Planning Policy Framework was established (i.e. March 2012). Several councils are in a mad dash to revise or renew their existing plans to meet this deadline of 2017. So be aware that there may be public consultations being issues where you need to submit details of potential land you might want to develop. Whilst this is at its early stages, it reflects the government's commitment to see more development in rural areas. Part of the Governments drive for development to be delivered has been its attempts to encourage modest forms of development to occur without too many constraints. In July last year, West Berkshire and Reading Councils won a High Court challenge over Government proposals for a threshold on the size of developments beneath which planning authorities should not seek affordable housing contributions through Section 106 contributions. Government have taken this to the Court of Appeal in mid March and at the time of writing the judgement has not, as yet, been published. If Government are successful, it will make small schemes for development more economically viable and this will have significant implications for the delivery of much-needed housing in rural areas. On a more regional level, decentralisation of government powers to enlarged 'super' councils is very much on the agenda of most councils at the moment. For example, there are moves to combine the councils of Norfolk, Suffolk and Cambridgeshire into one regional authority to be headed up by a mayor. This is a realistic proposition as successive governments have expressed the desire to reduce the cost of local government. There will be implications for this if and when these new councils are put in place as potentially it will result in another level of bureaucracy. Locally, you need to be wary of the neighbourhood plan which a number of Parish Councils are being encouraged to prepare. If you have proposals then it will be important to engage in the preparation of the plan rather than see your piece of land be excluded. Once adopted, these neighbourhood plans are seen by government as an important document in directing development. So how does all this affect the local landowner? Over the next few years there are going to be opportunities to promote your land for development. How big those opportunities are very much depends on location. 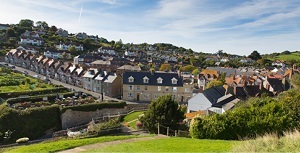 The National Planning Policy Framework (NPPF), sets out what constitutes sustainable development. Ideally the land you wish to promote should be close to or within an existing settlement that has certain facilities such as a school, pub, church or community/village hall and some form of bus service. The settlement doesn't necessarily need to have all these facilities and it may be that a group or 'cluster' of villages can show it has the necessary services/facilities. There is no statutory definition of what sustainable development is. Indeed, district councils each have their own different interpretations of what constitutes sustainable development. They do, however, need to be proactive in delivering housing. What a number of councils will need to do is ensure that they can provide a five-year housing land supply. If they cannot, then their housing policies identifying and directing where housing should go, are considered to be out-of-date and have to be set aside. In such circumstances, sites that can show the delivery of sustainable development should be approved. Many Councils are finding it difficult to show that they have a five-year housing land supply so these opportunities currently exist in a number of areas. There hasn't been a better opportunity to consider developing land and we are here to help. The current 'initiatives' by government can look bewildering at best, however, we can assist you in looking at the best opportunities for you from a barn conversion to a major allocation for housing. If you need any further details or help then contact our nearest office for assistance.